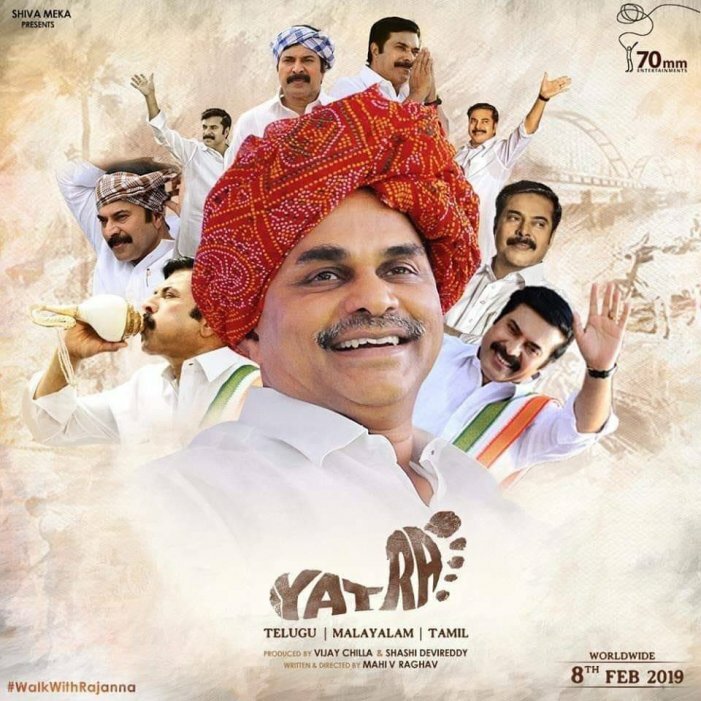 `Yatra’ is a Fitting Tribute to the Late Dr. YSR aka Rajanna. In 2004, YSR goes onto do a Padayatra before the General Elections. The film tracks his experiences with different sections of public and their burning issues. How YSR solves their problems with different schemes forms the rest. Mammootty lived in the role and nobody else could have pulled it off better. Rao Ramesh and Sachin Khedekar get prominent roles and are good. Supporting cast are adequate. Music: Background score is Superb. Yatra isn`t a Biopic to start with and limits itself to be an Event based film. It has enough highs to sustain audience interest till the end and gets highly emotional towards the end. This film is a Tribute to YSR and is probably not as appealing to those who don`t like him or agree with his politics. On the flip-side, many episodes seem exaggerated just to show YSR in Heroic Fashion and it may not go down well with some Sections of Congress Party. The film was Released on their own by makers through different Distributors strictly on advance basis. Anywhere around 10 Cr from Worldwide Theatricals will be more than enough and it is pretty much possible.